What do you use to bathe the babies? Re: What do you use to bathe the babies? We use peppermint-oil soap on Cabeza. We have tried many different things on my monsters over the years. With the crew I have now, they get muddy so often, we need something we can use frequently without harming them, so we are currently using Johnson's baby shampoo. They smell awesome, but only for a few days, or until their next mudwrestling "event". All three were bathed yesterday, as two had vet appointments, and the third had been playing in the mud for hours. Their coats are so soft, shiny, and just beautiful today! The vet even commented on how great our rescue, Jesse's coat looked after such a short time since coming to live with us. Spectrum LAbratories, the saflea shampoo is fabulous, i also use blue minx made by proline. i do not like to always switch i will stick to what works. i love these two and have no desire to try anything else. the blue minx is wonderful , pleasant smelling for several weeks in their fur and the black is black and the white is white white. As a groomer i highly recommend a monthly bath with shampoo a professional recommends. a newf needs to be done completly to keep coat maintenance properly maintained for healthy skin and coat. When I was a groomer we used diluted dish soap as a prebath to get the grime off. This also began working on any fleas the dog had. 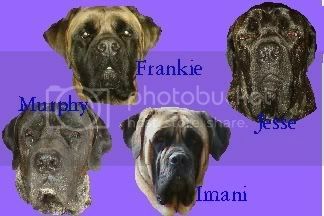 We always rinsed and finished with a second or third bath using various doggy shampoos. Always some type of tearless on the face though-no dish soap on the face. It is too risky to use dish soap around the eyes-OUCHIE!!! Nature's Choice has a great line of shampoos. They make one called hypo-a that is great. Also groomer's edge shampoo is fantastic. They have a sulphur and coal tar shampoo called furst aid that is fantastic for deodorizing the dog and does a great job on skin problems (flea bites, irritations, etc). I am an assistant manager at a local chain pet store and have access to many different types of shampoos. There is a brand called Kenic which has a great tea tree oil shampoo.